In this study, I outline the challenges and opportunities encountered in designing a module on translating transgressive women’s writing. Firstly, I explore the institutional parameters placed upon a course that, by its very nature, seeks to overstep boundaries. Thereafter, I focus on the implications of introducing students to a new arena of ideological theory and practice—namely, the confluence of gender, sexuality and translation. 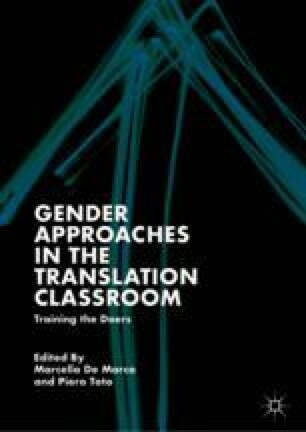 I frame this discussion through the lens of Mayer and Land’s (2003) threshold concepts, whereby the acquisition of a gender- and sexuality-conscious awareness in the translation process can be transformative, integrative and potentially irreversible. Finally, I consider the role that online discussion boards play in creating a liminal space, which students use to articulate their encounters with alterity through translation. Busby, E. 2018. Three in Five Students Sexually Assaulted or Harassed at University, Survey Finds. Available at https://www.independent.co.uk/news/education/education-news/university-students-sexual-assault-harassment-experiences-revolt-student-room-survey-a8234741.html. Accessed 20 March 2018. Le Monde. 2014. Le français n’aime pas le genre féminin. Available at http://enseigner.blog.lemonde.fr/2014/02/07/le-francais-naime-pas-le-genre-feminin/. Accessed 20 March 2018.